Join us for a free webinar with Disaster Recovery Journal on Building Resilience to Severe Weather Threats. This webinar will take place on Wednesday, April 18th at 2 PM ET. 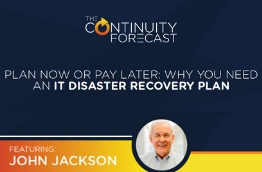 This free webinar is a great opportunity for business continuity and disaster recovery professionals to brush up on their severe weather best practices. It will also help organizations reach their goal of business resiliency when it comes to severe weather. Sign up today and reserve your spot. Space is limited! Click the link below to get started and mark your calendar. 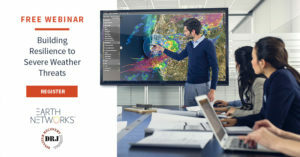 The webinar will have two different presenters that will help your business increase resiliency to severe weather events. The first is John Liuzzi. John is the National Director of Business Continuity at Southern Glazer’s Wine & Spirits. During this webinar, he’ll explain his own severe weather challenges and how they handle them. The second presenter is Earth Networks Meteorologist, Steve Prinzivalli. Steve supports Earth Networks clients like NOAA, NIST, National Grid, and more. Steve joined the Earth Networks team in February 2008, where he produced weathercasts for both online and mobile platforms. He also provided forecast support for clients such as the NFL and MLB. 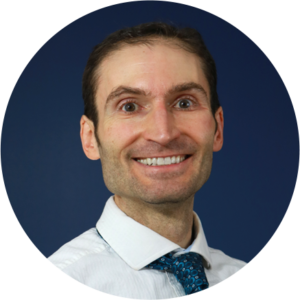 As a program manager, he leverages his meteorology skills with a heavy focus on enhancing the Earth Networks Total Lightning Network. 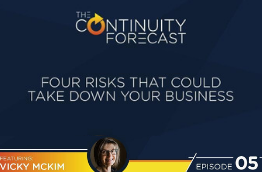 Each year, it seems that severe weather becomes more and more of a business risk. 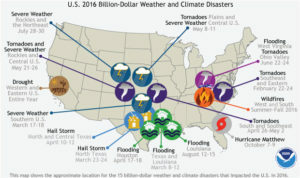 In 2017, weather disasters cost the U.S. a record $306 billion. The risk isn’t just for financial losses, either. 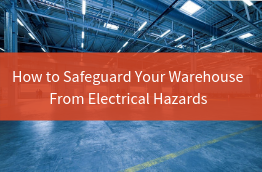 Severe weather can disrupt operations and can put people associated with your business at risk too.